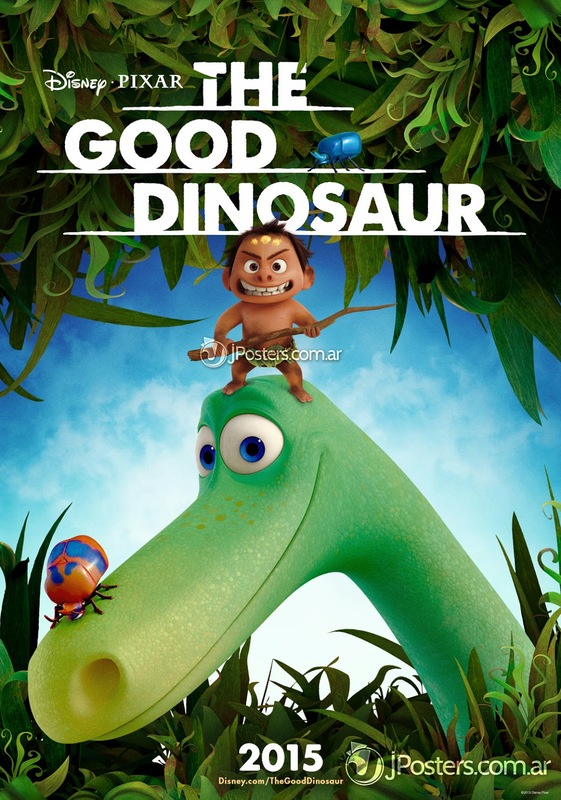 On Saturday, many woke up to the news that a new poster for The Good Dinosaur had been released. However, things just did not add up. As I pointed out when we posted the image, it would be questionable for Disney/Pixar to release a poster for a film two years down the line when the film next in line (Inside Out) still had not had a poster released. Studios tend to work in an orderly fashion, and promoting film number two before number one would be bizarre. Additionally, the website listed on the poster is not live, making it obvious that the poster was not meant to be released – not yet at least. Today, we have confirmation that the poster was not released by Pixar. Mike Bastoli of Big Screen Animation was similarly curious about the poster and asked Pixar about its authenticity. Although Mike did not receive a lengthy response from the studio, he did hear that the poster was “unofficial and was not distributed by Pixar.” Since Pixar is extremely protective of its films and secretive as a studio, it does not comment on stories often, so when an official at the studio does provide a statement, you listen. With the film still over two years from release, we do not know what the finished product will look like at this point. We can, however, say that the characters in the image above, Arlo the dinosaur and Spot the human boy, are indeed the characters Pixar showed at the D23 Expo in August. The character designs are spot-on with what was shared with Expo attendees, so unless there are drastic changes to the designs (which there could be, with such a lengthy wait until November 2015), this is what these characters will look like. Since nothing but concept art has been released publicly by Pixar, and the poster above is accurate to the character designs, it is definitely a leak (as I tweeted on Saturday). Whether the poster was a work in progress by the marketing department or an image being utilized by one of the many companies that Disney and Pixar collaborate with, we do not know. What we do know is that we were not supposed to see the image on Saturday, if ever. We will have more coverage of the images that Pixar does release in the coming months. The Good Dinosaur arrives in theaters on November 25, 2015.